Five contributions in the past two weeks, covering 2 applications, curation, Steem accounts, and steemit.com. All the contributions fared well in the scoring, with 'lostmine27' receiving a high score for his insight into curation 'yield'. The 'Steemhunt 2018' round-up by 'dalz' was well-presented with a raft of numbers and presentation pieces. Both 'paulag' and 'vlemon' provided direct insight into Steem and Steemit.com and together, they suggest that an improvement in figures for both the blockchain and Steemit.com could be arriving soon. The aim of this section is to represent the current weeks activity along with a recent set of data. The current data span covers the previous 20 weeks. An average score of 73 this week is just under 2.5 % higher than the 18 week average of 70.69. Two contributions last week, and three this time brings the average 20 week average total to 3.55 per week. 'paulag' tops contributor table with 17 contributions at an average score of 74 over the past 20 weeks. 'lostmine27' is in a clear second place with 13 contributions and an average score of 67. 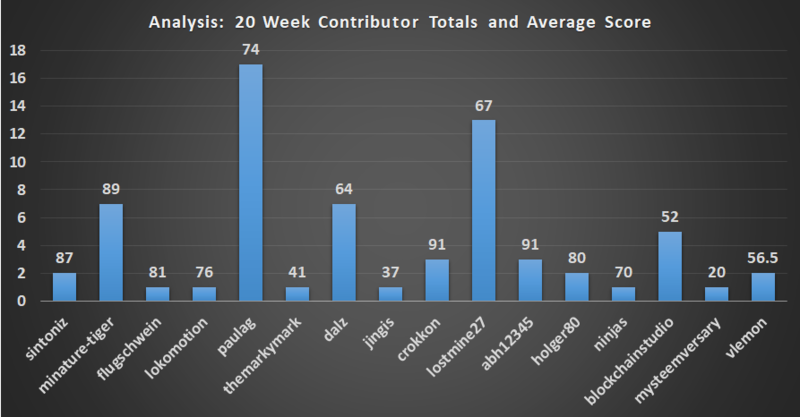 9 contributors have an average contribution score of 70 or above over the past 20 weeks. 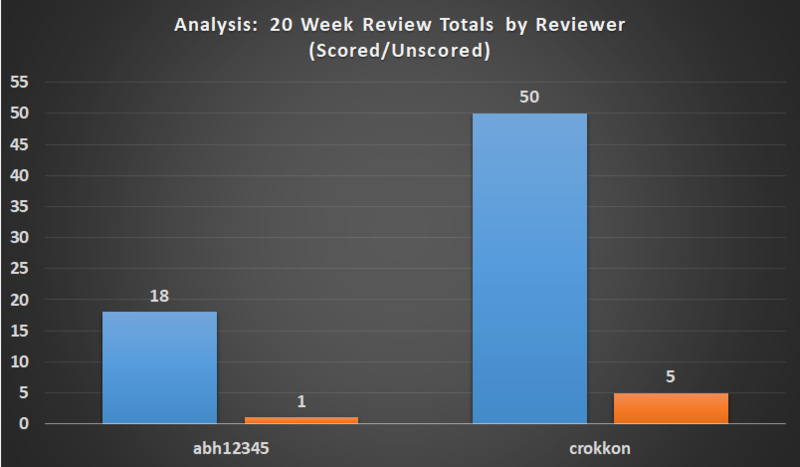 Two reviewers assessed all 68 contributions that received a score in the past 20 weeks. Six contributions have not been scored during this period. 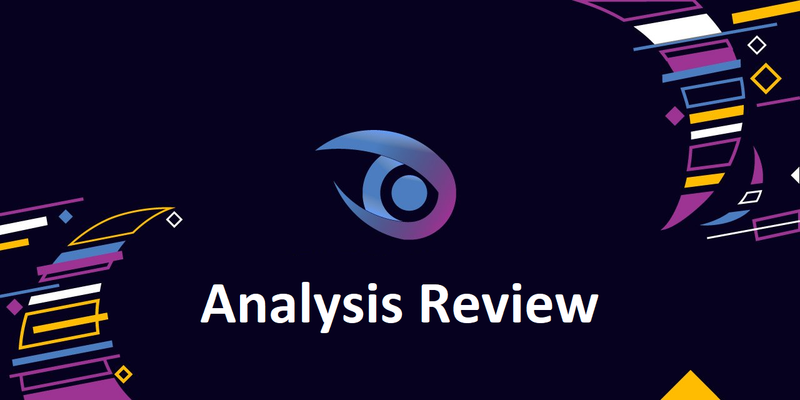 Recently, a query over the comments of a particular review were made in reply to the reviewer. The contributor asked if stating that the submission lacked scope was required, considering it was known to the contributor in advance. So people like me already know that it's a narrow scope, but may still quite interesting and have values to some people. So you don't need to say "quite a narrow scope" in the comment explicitly :) I'm absolutely fine with a lower score due to that, but it can be done just with the scoring system not by comments. I understand your suggestion, but as you say, we score the contributions based on a questionnaire, and one of the criteria involves scope. So I would rather mention this to provide other readers with information on the review/reward. For this part of the questionnaire, it's not really a question of 'popularity of topic'. However, I will try to word reviews more positively in future, as I do appreciate every contribution to the category and don't want to scare anyone away! And yes, I understand that. Especially for the first-time contributor, you should better inform them for improvement. Hope you could remember me even if I made another narrow-topic post :) so you could use more positive wording with low score behind the scene. haha. Thanks!